Sometimes the inspiration to a higher calling, can come from seemingly random daily matters, or from one’s own personal tragedy. But as stories like these will demonstrate, there exists a coterie of people with an ironclad determination that truly make a difference in the world. These are commendable examples of ordinary citizens taking on extraordinary tasks of alleviating poverty and suffering, through very original ideas. One such person is Theresa Wilson of Blessing Basket. From her own difficult personal past, she empowered village communities in impoverished countries like Ghana, Madagascar and Bangladesh to alleviate poverty through basket weaving. Spearheaded by women, Theresa specifically targeted uneducated women which were at the heart of the poverty challenge. Her weapon of choice: BASKETS! 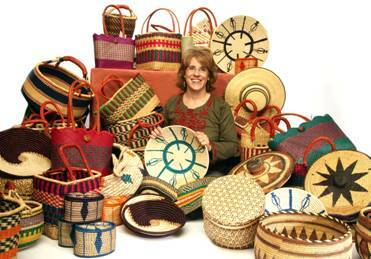 Some of Blessing Basket’s achievements, delivered through their unique Blessing Basket Project, making baskets directly from source, in the villages and communities where the craft can empower entire villages, instead of importing them from China in bulk. In the villages, artisan weavers are paid higher than fair trade wage. 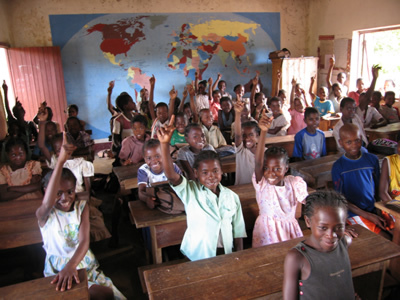 Resulting in additional income that brings better food to the table and keeps children (especially girls) in schools. To learn more about Blessing Basket and how to help, donate or volunteer click on www.blessingbasket.org. Elg Shorker is a 28 year old mother of two from Western Bangladesh. She is seen here with her son John, her daughter Urnika and her husband Barnabas. While both of her children are in school, it has been a constant struggle to pay school fees. In fact, at times, poverty has forced Elg to turn to prostitution to ensure her children’s education. Your purchase of a Blessing Basket® changes all that. The Blessing Basket Project® works to reduce poverty in developing countries by paying Prosperity Wages® for artisan products. This unique financial model creates a cycle of entrepreneur driven growth resulting in permanent financial independence for the artisan. 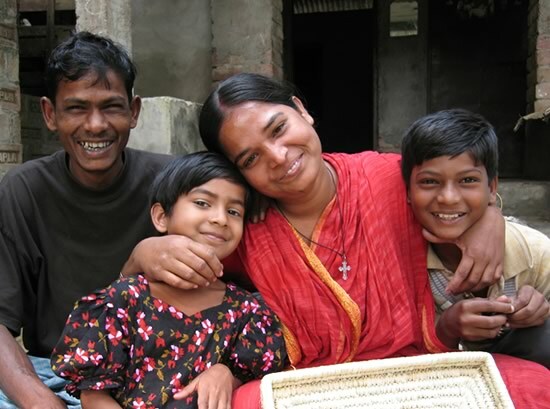 The Blessing Basket Project® is a 501(c) 3 non-profit organization that believes the rural poor in developing countries are quite capable of pulling themselves out of poverty. We use a unique financial model which allows artisans to earn significantly higher than fair trade wages for their products for a given period of time. The artisan is free to steward that money however they wish. Most often they use the capital to create multiple small businesses. Those entrepreneurial endeavors result in several independent streams of income creating sustainable financial independence from our organization. 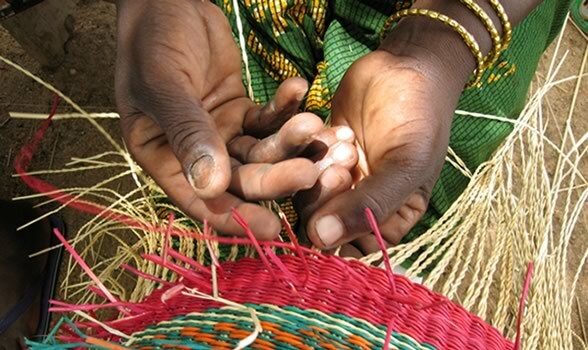 We generate the Prosperity Wages® by selling their artisan products. This entry was posted in Sustainability, Sustainable Development and tagged Humanitarian, Social Change, Social Entrepreneur, Sustainability, VolunTourism. Bookmark the permalink.